Currently using ab7503 (Profinet IRT) but losing connection when CPU switches. Will switching to ab7670 (Profinet IO) work better for redundancy. The control works, until we switch CPUs, then we lose control to the AB E1 device. Looking at the HMS ANYBUS forum, it recommends the ANYBUS AB7670 for S2 redundant control. I don’t think I’m going to be able to give you a definitive answer for this today. We’ve reached out to our colleagues in Sweden for clarification. The AB7670 will work with your setup, but I can’t guarantee it will solve the problem of the redundant system not switching over. I would need to have a better idea of what is causing that. I would expect you to have similar results with the AB7670 and AB7503. Neither specifically supports redundancy. Is there any other info or diagrams you can add on this? We will let you know what we find out. Ok, thank you for checking. Let me know if you find anything out. Hi, any chance you spoke with someone? Were trying to get this figured out. Nothing on the PLC side is changing the issue. Is there a difference between the AB7503 and AB7670 data control, that would be more adaptable to Ethernet/IP scanners IO? Just wondering the difference between the parts? We have a quote for the AB7670, but trying to justify the purchase if there really is no difference than the AB7503’s we are using. It seems there is a difference I would think. 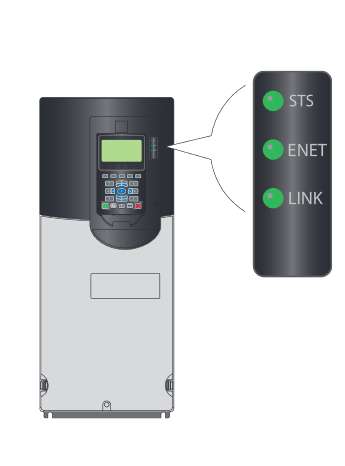 Looking at the Profinet IO vs Profinet IRT maybe? Trying to purchase today if possible, please respond when you can. I apologize, but I am still waiting to hear back to get clarification on the difference between these devices and whether or not the AB7670 will support the s2 system. It does appear there is a difference, but I’m skeptical it will make a difference because IRT denotes “isochronous real time” and uses a special ASIC for the real-time motion control applications. I’m not sure how that would impact the redundancy. However, if you have a diagram or sketch of the system, it would give us a better idea what you are trying to accomplish and we might be able to make a recommendation. I will certainly contact you as soon as I hear back. Hi, I was able to confirm that there is not a difference in these devices as far as S2 redundancy goes. They only support MRP (Media Redundancy Protocol). Consider that if they did support the S2 redundancy, they would then become a single point of failure in the system. They would work with a R1 redundant system, but you would need two devices per system. We used two AB7503 (the AB7670 did not support MRP). We are now controlling via each CPU, the E1 from Allen Bradley and have MRP ability and operation form each CPU. We are not able to talk via the AB7503, to Allen Bradley 753/755 VFD. Using the Allen Bradley Connected components tools and drive explorer, we see the drive, but we cannot establish control via the Anybus, even with multicast on. I was looking but could not find, any write-ups on this possibly? Can you let me know what these LEDs are doing? Also, if you could provide a wireshark packet capture from the network, that would be very helpful for resolving the issue. Thank you for the doc. We used it RSNetworx to set up the scanner side. We’re looking at that again. The wire shark is not seeing it, the drive is not sending anything out 20 com-e card. Dive is setup correct, we talked to AB. Were making sure now that we are not asking for more data packets than is setup, or Anybus will not see the drive. Hello, all redundancy issues are resolved. Thank you. Tried cycling power multiple times, we can only connect to 16 unicast AB devices. When we cycle power to the EthernetIP bus, only 16 devices go online, the devices are random, so we have 26 devices, and 16 randomly come back online. What are the max unicast devices we can have? Kyle is out of the office this week and I will be helping you out. The Ethernet/IP master is capable of connecting up to 64 EtherNet/IP Adapter/Slaves. Here is a screen shot from the manual. Are you using Class 3 connections? These are limited to 16 simultaneous connections.